Sunday afternoon. To tired to be bothered to do anything other than kicking a soccer ball in the back yard with my son. So what to do. Yep nip down the local video shop. Strange isn't it. Videos died out years ago, yet we still call it a video shop. I remember the old video shops of the 80's. Bulky selves with two formats of video, VHS and Beta. So we all went to the video shop to see what kiddie movies we may have missed out on recently. Upon our arrival we found that the video shop is closing down. And everything, was up for sale even the latest releases. Apparently the shop announced this over three weeks ago. The place looked like the hordes of hell had been through the place. Back to the 80's, it looked like the image of Russian food shops which were shown in the news. It was almost pitiful. Not surprisingly people were buying loads of DVDs, 10 to 20 at a time. I found this all slightly sad. Shelves half stripped of the shops goods. But why should I be? I can not remember the last time I paid a visit. Over a month again. I was talking to one of the guys in the queue whilst I waited to pay for a DVD and he said that this was the last video shop in the local area. WOW! No more video shops. What to do? Looks like we are going to have to go online via Telstra (Australian telecoms company) or get an Apple TV. So what did we do today. 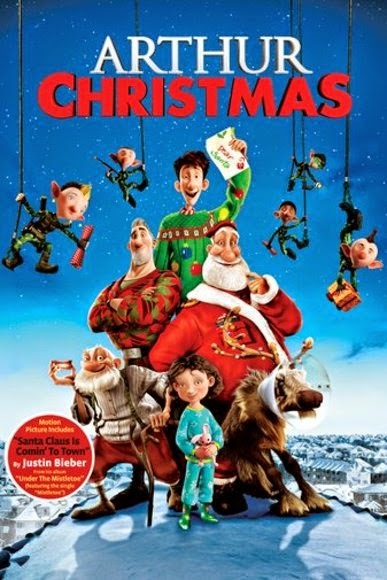 Buy a DVD, and of course it was a Christmas movie, yep a Christmas Carol and go home and watch, a different Christmas movie, Arthur Christmas on DVD. Bye bye DVDs, well not quiet now but it can not be long now. Oh what to ask Father Christmas for now in this years stocking. iTunes gift voucher?